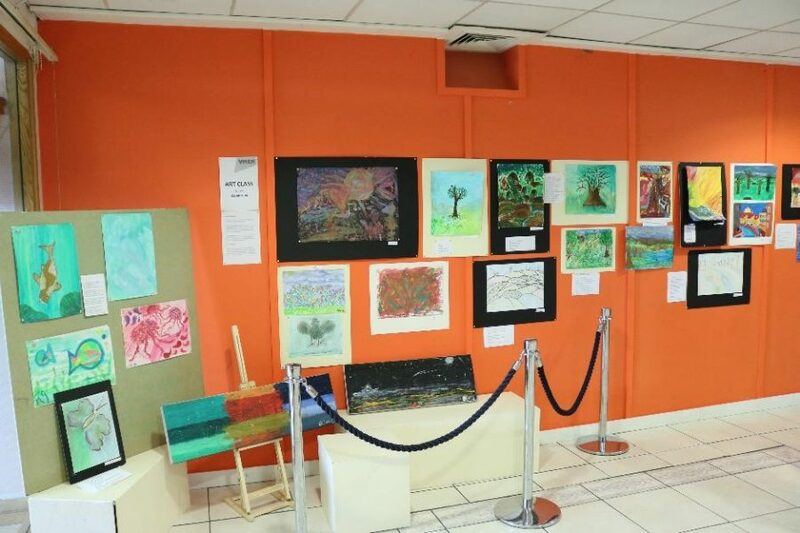 Residents at YMCA Surbiton and local members of the community are currently exhibiting their art in in the café at the hostel. It’s a showcase of paintings from the Arts & Crafts studio that takes place every Tuesday 6-8pm, run by former resident Daiva Daugeliene. Daiva trained as a teacher in Lithuania and has always wanted to share her love of arts and crafts. She encourages others to explore and find the love and enjoyment in creating. Davia is an advocate of the use of arts and crafts as a therapeutic tool and has seen the benefits in herself and others. She believes that everyone can create art and her sessions bring people together. There is also a display of the works of the Writing Group, which is made up of 15 residents, staff and volunteers. 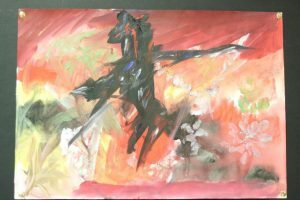 They meet up every other Friday during term time and last term they focused on writing about colour, and used some of the artwork as their inspiration for their poems. The dark and the light inside. Open the dark to open the light. Try to be honest and true. Better to be open than hide.